When eating Keto there are a number if different vegetables that you can substitute for Potatoes when you are looking to make a low carb alternative to some of your favorite recipes. Depending on the type of dish, some vegetables make better substitutions in a given situation. Often times to replace a potato, like in this Keto Potato Salad Recipe, I turn to the cheap and trusty Radish. For other Side Dishes I might turn to the Turnip, a Rutabaga, or even Celery Root as an alternative to the Potato. Since Radishes tend to be cheaper, and easier to find that is what I use here. But feel free to experiment with any of the others if you have a preference. If you are worried that this Keto Potato Salad is going to turn out sharp and bitter like a Raw Radish, fear not. Cooking Radishes, whether boiled or roasted usually removes most or all of that sharp bite that Radishes are loved or hated for. It really does seem like these tiny vegetables can illicit a Love it or Hate it response with people’s tastebuds, huh? Aside from the substitution for the Potato, we also make a substitution for the Mayo as well. Rather than use a Mayo that is made from Soybean or Canola Oil I opt to use the Chosen Foods Avocado Oil Mayo. It is the closest to Keto-friendly Mayo that I can find at my grocery store, and it seems to be readily available at Costco, Kroger, and some Walmarts too. 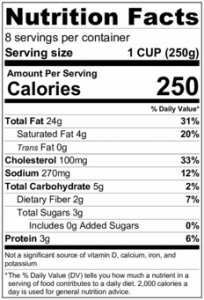 I believe that the only ingredient in it that is not perfectly Keto is a tiny bit of Honey that they use. If you don’t mind making your own Mayo at home to avoid that, please feel free. 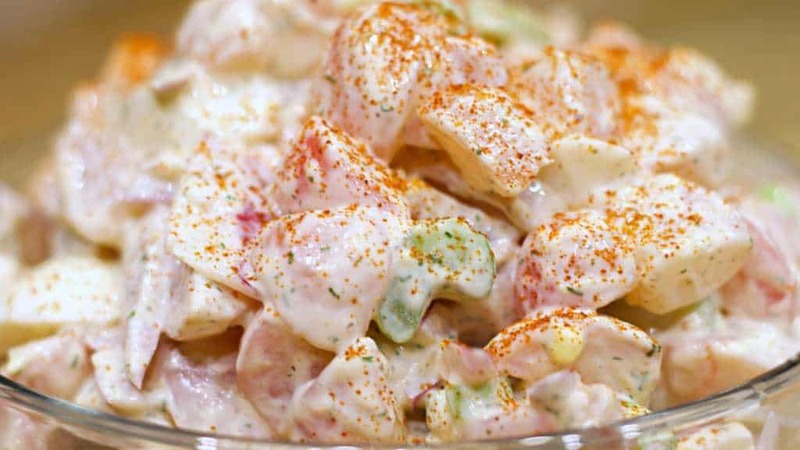 When making this Keto Potato Salad, don’t feel restricted to having to only make it the way that I am preparing it. This is just a guideline to serve as inspiration for you to try new things, and to accept some other alternatives into this way of eating. Eating Keto does not mean that you have to go without foods that you like, but it does mean that to keep it interesting you may have to make some creative alterations from time to time. Season this the way you like to, or swap out some of my ingredients for the ones you usually make your potato salad with. 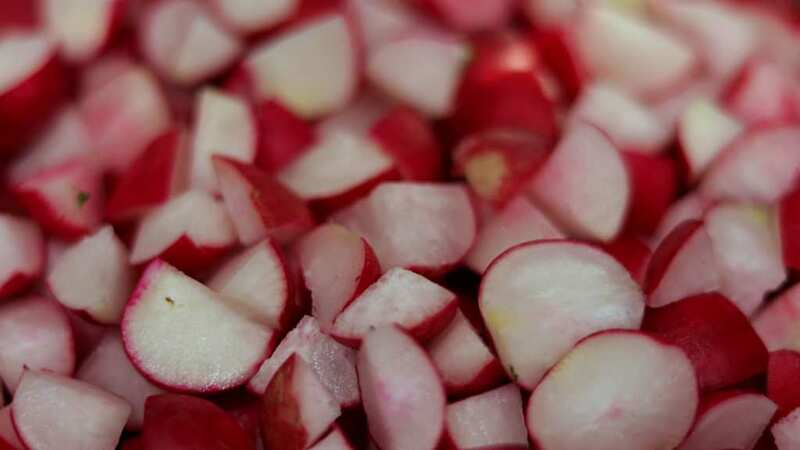 Chop the 2 Pounds of Raw Radishes into small pieces, however large you would like your chunks to be for the potato salad. Depending on the size of the radish I will sometimes cut the smaller ones into 4 pieces and the larger ones into 8 pieces. Place your Large Stock Pot or Dutch Oven on High Heat and bring your water to a boil. Boil the Radishes for about 15 Minutes, or until Fork Tender to your liking. Strain the Radishes through a Colander and place in a Large Mixing Bowl. I like to place the radishes in the refrigerator afterwards to cool them off. Slice up the Red Onion, Celery Stalks, and Hard Boiled Eggs and set them aside. In a Small Mixing Bowl add 1 Cup Chosen Foods Avocado Oil Mayo, 1 TBSP Brown Mustard (or other Mustard of your choosing), 1 Teaspoon Dill Weed, 1/2 Teaspoon Paprika, Salt and Pepper to Taste, and optionally some Garlic Powder if you prefer that. You can also feel free to season the mayo any which way you choose. 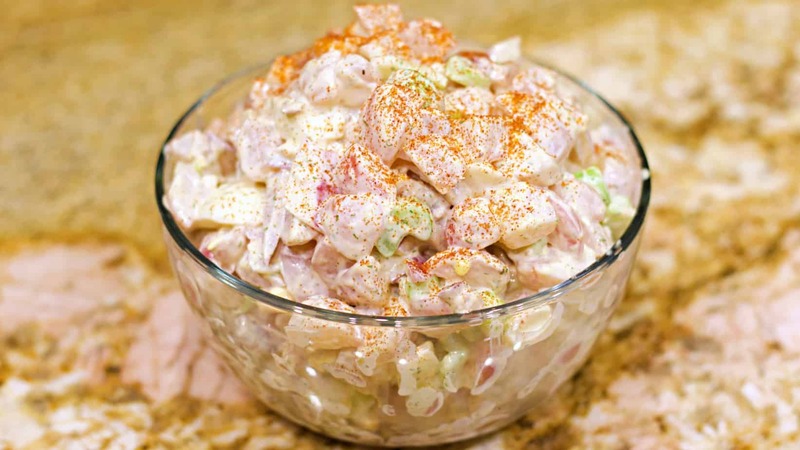 Some people like seasoned salt, Garlic Salt, or other types of seasonings in their potato salad. This is just how I happen to like mine. Pour the Mayo mixture into the Radishes, add you other chopped ingredients, and stir together nicely. 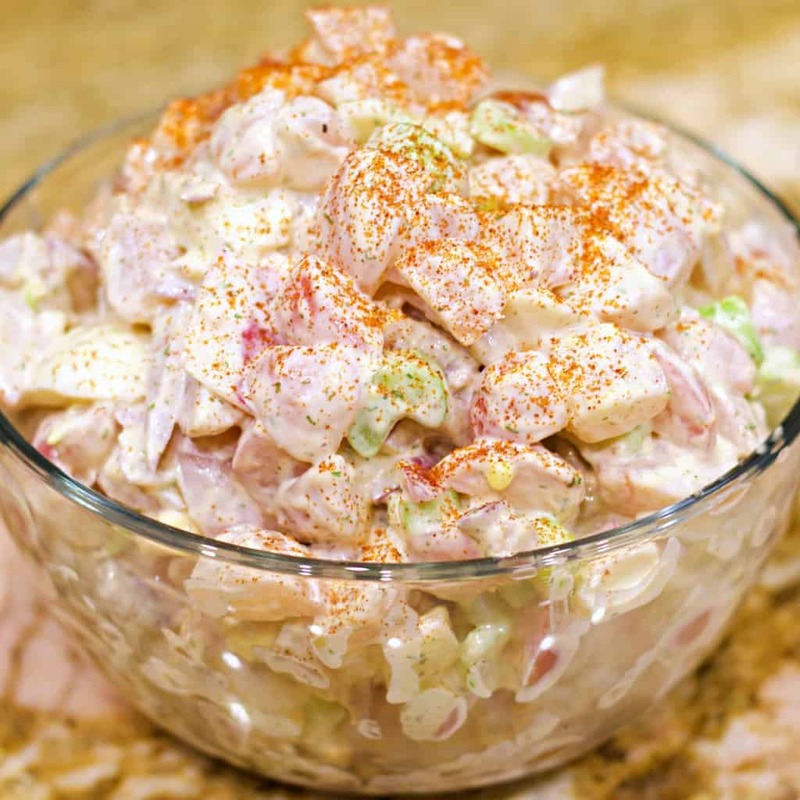 Chill in the refrigerator for at least an hour if you prefer to have your potato salad cooled off. Primal Kitchen makes an avocado oil mayo that is keto/paleo/primal approved. no sweeteners at all and 100% avocado oil. Joy, it makes about ten 1-Cup servings. Meant as a side dish to be served with other foods, of course. I think that 1-Cup is a pretty good size serving, but you could always eat more or less. Could you use raw jicama instead of cooked radish? It would have a texture more like an Apple Salad if you did it that way. Flavor would be fine, but the texture would be crispier. Going to make it soon. Looks really good for a side dish for work. Your recipes are really terrific, but printing them is a nightmare. I could do cut an paste…but that is so time-consuming. Please ad a print formatting feature to your site. I really need to find a better Print plugin for it. Thanks for reminding me. Thanks for the recipe! Going to try it this weekend. Now to figure out how to print it! I just made this salad and it is a 5 star. I added 2 cooked slices of bacon crumbled and cut the mayo back to 3/4 cup. Yum! I made this tonight, and it is delicious! The Primal Kitchen Avacado mayo is the best! I too have a very hard time printing and end up going to another page. Can you add a way to print just the recipe and instructions? Vegenaise is a keto friendly mayo substitute that tastes better than all of the alternatives, in my opinion. It is soy free, egg free, dairy free, gluten free, preservative free, with zero carbs, 9 g of fat, and 80 calories per tbsp. I like it better than the best real mayo on the market.